Family Fun Titles from Parragon for Fall! School is back in session in the Knerl household, and that means we are trying to find lots of ways to keep little hands busy and minds engaged. My kids love artistic activities, like coloring, sketching, and doing puzzles. We were thrilled to get samples of the following items to review from Parragon. See what we loved out their newest titles! 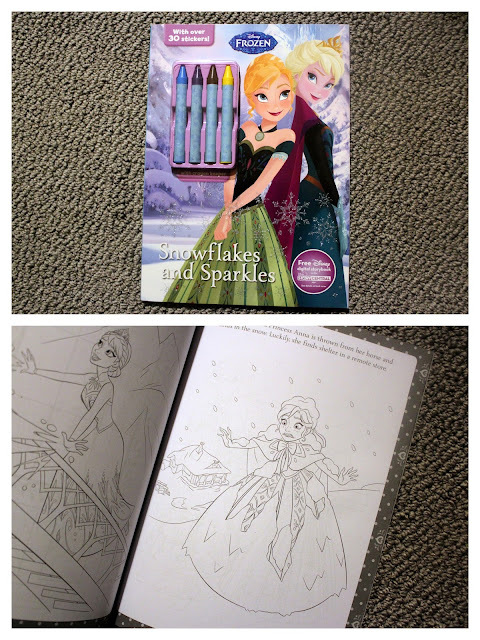 Perfect for the princess in your life, this coloring book comes with crayons and is full of pictures from the movie Frozen! Looking for a HUGE coloring book that will take days to complete? This is it! Full of 320 pages of your favorite Disney Pixar characters, this is surely a good way to keep little hands and minds busy. 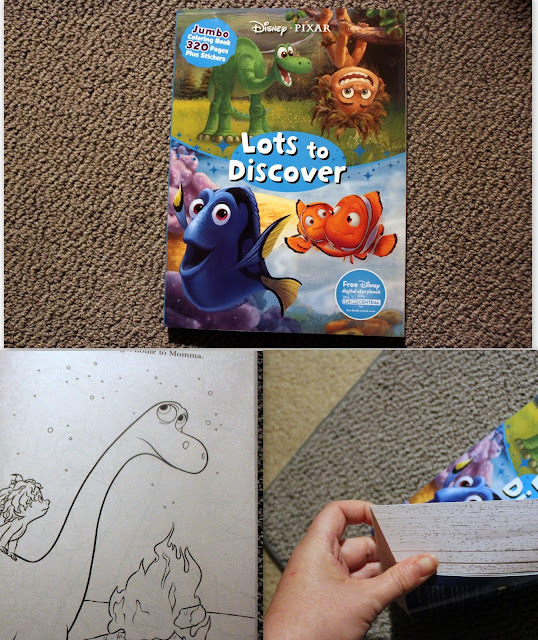 My boys are always arguing over which one can color from this book, so we ended up tearing out a lot of pages to keep them satisfied. Dot-to-Dot (or "connect the dot") books are such an important part of little learner's development. I remember doing these for hours as a kid! This book features a dry-erase surface so that you can use it over and over again. It even comes with a marker! There are several learning featuring throughout, as well. Reinforce colors and shapes while practicing counting! 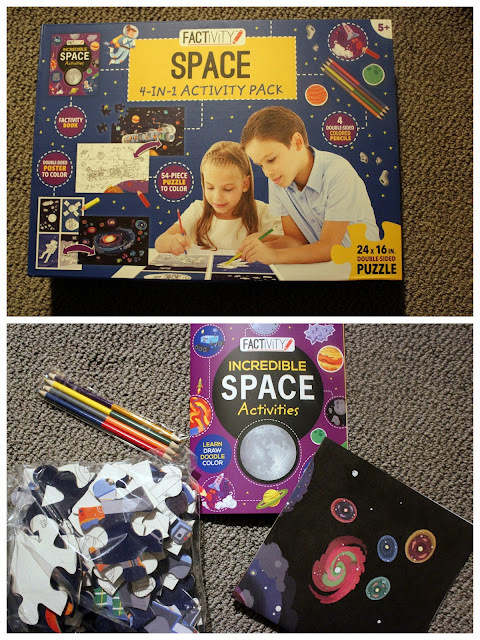 Do your kids love space a much as mine do? Get a puzzle, coloring pack, and poster in this kit. 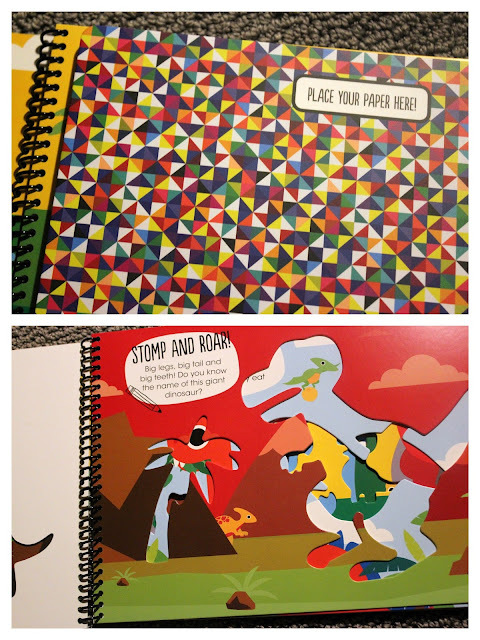 It comes with fun facts and figures, as well as colored pencils. The puzzle has two sides: one you color and one that's done for you! Here's one even the older kids will enjoy. This book is bursting with brain teasers, puzzles, riddles, and tricky questions and answers. Be warned: You will be quizzed constantly by kids hoping to catch you to see what you know!! My boys read this together and giggled quite a bit. My kids love stencils! It's such a great way to help little ones draw pictures with great structure that they can customize with their own colors and characteristics. My kids of all ages love this book! Which of these products do you think your kids would love the most?